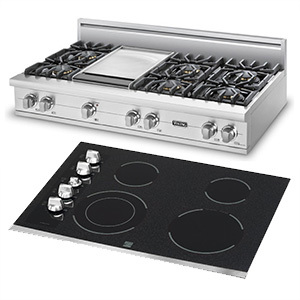 We provide Cooktop Repair in Corona and surrounding areas. Cooktops are cooking surfaces that can be gas or electric but are without ovens and are usually installed directly onto counter tops. Radiant heat cooktops are a newer form of heating and are normally a radiant heating element under a glass composite top. 1) Always used medium temperatures for cooking to avoid hazards of burning, and over spilling of your food items..
2) Keep your oven clean after use. Wipe off oil, or other over spills immediately before the burners get clogged up. 3) Gaskets or rubber linings of oven doors should be kept free of oil and dirt which prevents proper closure of doors. These rubber seals help to properly close the doors by creating slight vacuum and help to maintain temperature while cooking. 4) Always clean the glass cover of ovens with mild soap and water. 5) For gas cooktops, always check that gas supply to gas range is free flow and the gas pilot is never choked. 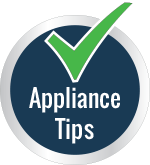 6) Never use scrubbers or scrubbing detergents to clean cook tops to avoid abrasions on the surface of cook tops. 7) Always use pans with clean bases to avoid burning from the underside of pans. Hopefully if you follow these tips you won't need cooktop repair.